The special Tenth Edition of this powerhouse best-selling text maintains its tradition as the most comprehensive, up-to-date guide to the music industry. The breadth of coverage that this book offers is unlike that of any other resource available. 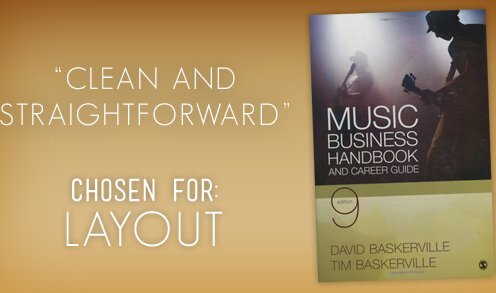 Music business newcomers and professionals alike will find Baskerville’s handbook a valuable resource, whatever their specialty is within the field music. It is ideal as the core textbook in courses such as Introduction to the Music Business, Music and Media, Music Business Foundations, and survey courses. This book can also be used for more specialized courses on the record industry, music merchandising, music careers, artist management, music and the law, arts administration, and music in popular culture.